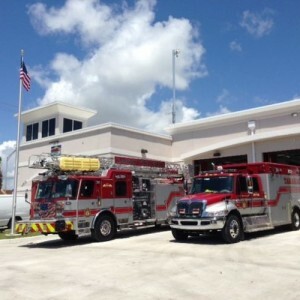 This project includes the complete demolition of the existing fire station and site appurtenances on a 1.15 acre site and the development of a (+/-) 9,400 square foot fire station located at the same site. The building is designed and constructed to sustainable building rating of LEED certified. The building is a hardened structure, constructed in accordance with the Florida Building Code, Section 1620, High-Velocity Hurricane Zones-Wind Loads, Risk Category II and IV Buildings and Structures. 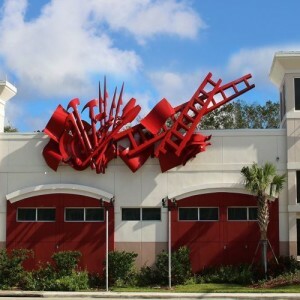 The building and site are designed and constructed to integrate a new public artwork commissioned through the Tamarac Public Art Program.